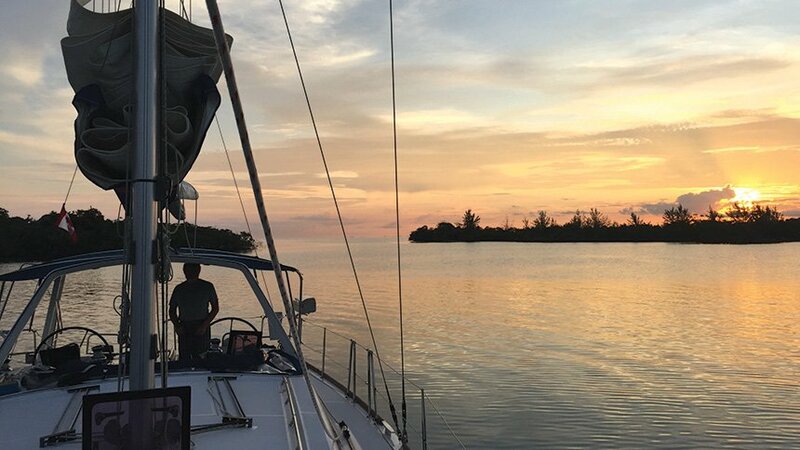 My first mate, Denisse Allaire, and I chartered a Beneteau 42.3 sailboat for a week in September from the Moorings in Placencia, Belize. 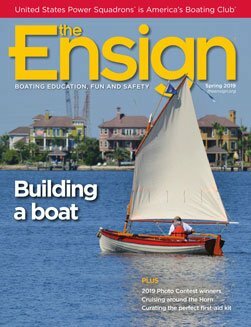 The off-season rate made the three-cabin, two-head monohull affordable. We flew from Denver to Houston, Houston to Belize City, and from Belize City to Placencia in a boxy Cessna. The Friday before the charter started, we rented a cute, air-conditioned beachfront cottage for the night. The next day did not go as smoothly. I had been communicating with Palencia through the Moorings in the U.S., but our messages hadn’t been relayed. Denisse and I requested a two-person kayak we could fasten on deck instead of a dinghy. Belize did not get this message. Likewise, we didn’t get the message that our briefing was to begin at 9 a.m. and spent the morning shopping in the quaint town of Placencia. The scripted briefing was good and referenced pages in an excellent cruising guide; however, the reefing system confused me, and the staff was unwilling to demonstrate it. As it turned out, I never needed to reef as we only had three hours during the entire week with enough wind to sail. On Sunday, we sailed from Placencia to Laughing Bird Caye where we snorkeled most of the morning. When we’d seen all the coral reefs we wanted to, Denisse went to the bow to weigh anchor. She called back that the anchor had come in blade up. I went forward to help but only made matters worse. When I got the anchor almost up, the swivel at the top of the anchor shaft jammed in the split rolling pin. Then the down switch didn’t activate the windlass in any predictable way. I retreated to the radio to call the Moorings, but in the meantime, Denisse brought the anchor into its proper position. 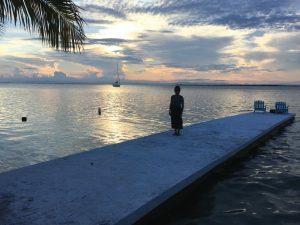 With the anchor now properly raised and snubbed, we motored to Hatchet Caye, which, thankfully, had mooring balls, good snorkeling and a fine restaurant. Caught only hours before, the snapper we ate that evening could not have been more delicious. We enjoyed walking to the end of the resort’s pier where a blue light attracted baitfish, larger feeding fish and manta rays. The staff on the cay’s resort was so pleasant that we decided to stay another day and go kayaking. We rented a kayak from the resort and paddled to a cay a little more than 2 miles away with a seaweed farm. We paddled a circle around the cay and paddled back. We dropped the mooring ball in the early afternoon and sailed to Lagoon Caye. We picked a mooring ball in a sheltered spot protected from the wind, which blew hard in the night. When it wasn’t storming, the sand flies had no trouble reaching us, which I learned while trying to sleep in the open cockpit rather than the hot, humid and confined forward cabin. He said termites were good for fresh breath. We tried them. They were crunchy and minty. The boat has a 6-foot draft, but many of the routes out of Lagoon Caye didn’t have 6 feet of water. Fortunately, a friendly local came out and directed us to follow him. Our keel depth proved to be quite a disadvantage several times. Denisse frequently spent time at the bow trying to estimate water depth and point me through areas where we feared running aground. We bounced off the bottom a couple of times on our way to the South Water Caye, the farthest north and farthest east we were to travel. By the time we got to South Water Caye, I had a bad sunburn. At the island store, I bought a large tube of 60 SPF waterproof sunscreen with aloe and vitamin E, all of which this former redhead desperately needed. 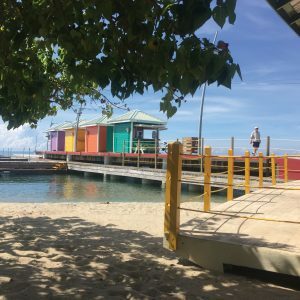 This cay had the best snorkeling of the entire trip, and that night we both ordered the snapper, which was almost as good as what we enjoyed on Hatchet Caye. We retired early, anticipating a long motor south to Monkey River the next day. We threw off the mooring line at 6:35 a.m. Most of the water off southern Belize doesn’t have buoys or markers, so we took bearings from the boat to landmarks and used GPS to determine where we were and how much farther we had to go. This was good practice for our upcoming Piloting course. We anchored at Little Monkey Caye at 1:30 p.m., ate and took the dinghy to Monkey River Village, a town of about 180 people. We scheduled a river tour for 7 a.m. the next day with Jason. His cousin Raymond took us around the village, which has no streets or cars, just walkways. Raymond told us the doctor comes every three months, just like the mail. As we walked, we saw women playing bingo, teenagers playing dominoes and children hollering in delight as they climbed a large tree. Men sat together on the dock. The next day, Jason explained that the villagers, who are of European and African ancestry, speak Creole. As we cruised the river in his tour boat, he told us the Creole names for the birds we saw. We also saw bats, iguanas and a crocodile. After an hour in the boat, Jason asked if we had bug spray. We left the boat on the bank and walked into the jungle. Jason carried a machete. Although we had put on bug repellant with DEET, about 50 mosquitoes sniffed for a place on Denisse that hadn’t been sprayed. I sprayed us repeatedly. As we walked, we heard the dominant male howler monkeys quarreling. Jason pounded a tree branch with his machete and mimicked a challenger’s howl. A monkey roared back. Peter walks by the immigration office. As we walked, Jason explained what various trees, shrubs and vines could be used for. One was good for making flutes, another for thatching a roof, one for curing colds, and another to stop diarrhea. He said termites were good for fresh breath. We tried them. They were crunchy and minty. Back in Placencia on Friday night, we ate at the Barefoot Bar and Restaurant. Denisse and I danced to the live music until my knee buckled. Early Saturday afternoon we left Placencia on a four-seat Cessna belonging to Tropic Air. I asked the pilot if he was going to do any loops, and he did a couple of little nose dives that had me hollering in glee. Denisse sat beside the pilot, and we flew low to the ground for a wonderful view. From Belize City we flew to Houston and made it home to Denver by midnight. The bumps from the flies and mosquitoes are gone, and the skin on my nose has healed, but we’ll remember this vacation for the National Geographic-level discoveries. I mean, we ate termites. 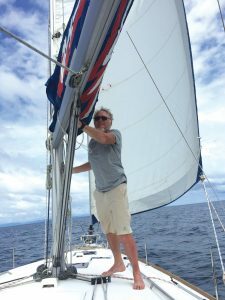 Peter Baumgartner plans to sail his Seawind 1160 Lite sailing catamaran south along Florida’s Gulf Coast, around the Florida Keys and east to the British Isles. Denisse Allaire is a Reiki third-level master, who recently sailed on a 1976 Islander off the coast of Maui, triple-reefed in 25- to 30-knot winds. They are members of Boulder Valley Sail & Power Squadron/30. This article first appeared in the squadron newsletter, Boulder Beacon.